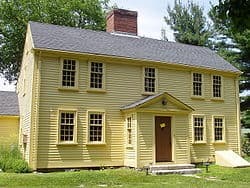 Morristown National Historical Park is a United States National Historical Park, consisting of three sites important during the American Revolutionary War: Jockey Hollow, the Ford Mansion, and Fort Nonsense. The sites are located in Morristown, Morris County, New Jersey, near the junction of U.S. Route 202 and New Jersey Route 24. 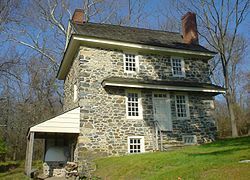 With its establishment in March 1933, Morristown became the country’s first National Historical Park. 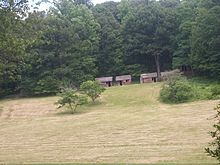 Jockey Hollow, a few miles south of Morristown, was the site of a Continental Army encampment. It was from here that the entire Pennsylvania contingent mutinied and later, 200 New Jersey soldiers attempted to emulate them. Fort Nonsense occupied a high hilltop overlooking Morristown, and is believed to have been the site of a signal fire, along with earthworks. The Ford Mansion, atop a beautiful hilltop in Morristown was the site of the “hard winter” (December 1779 – May 1780) quarters of George Washington and the Continental Army. That winter remains the coldest on record for New Jersey. Theodosia Ford, widow of Jacob Ford Jr., and her four children shared their household with Washington, his staff, including Alexander Hamilton, along with their servants and sometimes, their family members. Martha Washington traveled to Morristown to spend the winter with her husband. The adjacent museum is open to the public but is under construction, remodeling the auditorium and two new galleries in addition to the two galleries that are open to the public. 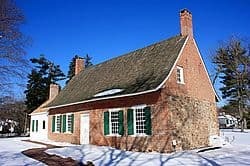 In April 1932, the National Park Service (NPS) published a report recommending that the site of the Continental Army’s winter encampments in 1776-77 and 1779-80 become a “Federal Historical Reserve”; the report included two sites: Jockey Hollow and the Ford Mansion. In March 1933, in the last days of Herbert Hoover’s presidency, the 72nd Congress established Morristown as the country’s first National Historical Park.